It is very common among film scholars and critics to search for undiscovered cinema-territory. Those hidden secrets of cinema. Films no one has heard of, lost films by certain directors or whole film cultures that were ignored by former writers.The aspect of discovery has something romantic about it and it is tied closely to the cinephile curiosity. It is about seeing more and seeing different. Someone travels to a far away country (today often online) to see things flying under the radar. This might not only make the traveller an expert, it will give him job opportunities. It shows again that Film History (with a big H, naturally) is a history of films never seen. 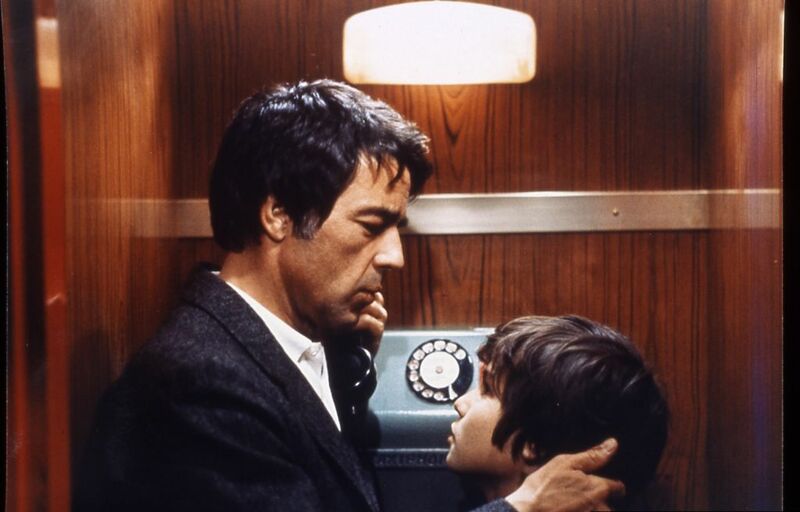 Nevertheless it comes as a surprise when the cinema of a quite well known actor like Gérard Blain (a darling of the Nouvelle Vague, acting in short films by Truffaut and Godard, in Chabrol‘s Le Beau Serge and Les Cousins, in Un homme de trop for Costa-Gavras and even Hatari! for Howard Hawks) from a country like France is almost invisible abroad. How those disappearances come into place is out of my understanding. Especially when one happens to find out that Blain‘s films easily rank among the more interesting works French cinema has produced. And that means a lot. But whose responsibility is it to discover? Today almost any viewer has the possibility to search for unknown cinema. But we also live in an age where there are too many things flying around disguised as cinema when in reality there is too little cinema. Someone telling us what is worth seeing and what is not is always searched for. The pain comes from knowing how decisions are/have to be made in selections and programming. Something unheard of is always a danger as people just love to see what they know already. This does not mean that it is not important to show what one might call a “canon“ but it is also important to have some spare room for the secrets of cinema. But what am I complaining about blessed by my living and working in Vienna? Here it is possible to discover something unknown right in front of your door. 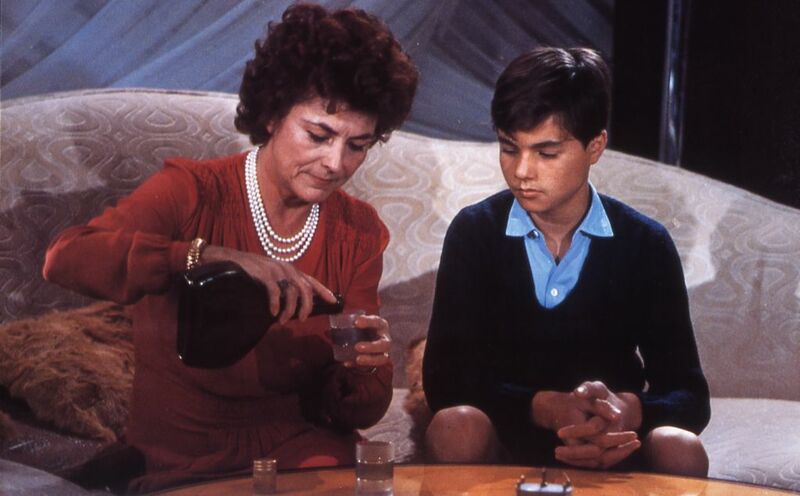 The Austrian Film Museum recently featured five of Blain‘s nine films in a retrospective that was dedicated to the outsiders of French Cinema in the 1970s and 1980s: Pialat, Eustache and Blain. It was a pleasure to see the institution fighting for his cinema by organizing a press screening of his debut Les Amis and programming four of his five films during one weekend. Despite all possibilities it seems that the modern cinephile still needs that kind of promotion. But now, who is Blain? Of course, we cannot tell. But we could see his films. His cinema often deals with personal experiences and memories of childhood and past. The most obvious formal influence seems to be Robert Bresson but this leads to wrong expectations. Of course, Blain like Bresson is very interested in the concept of minimalism. He tries to show only what is absolutely necessary. A good example for this can be found in the stunning beginning of Le Pélican. We see the birth of a son, his father, the child sleeps, grows up, just images like a dream, the moments father and son spend together in a zoo, in a tram for children. In retrospective we recognize these moments as a memory of harmony. Blain who plays the father himself really loves in those scenes with his actual son(s). But the filmmaker never strips down his images like Bresson did. He is more interested in the personal aspects of cinema which makes him a perfect combination with Eustache and Pialat. He will always choose the emotion before the image, his perception before form. There are some strong and some weak points about this, in general it creates an individual point-of-view and this rare feeling of having a human being behind (and in the case of Blain also before) the camera. Nevertheless sometimes it seems strange that we encounter with Blain a quasi formalistic approach that is ready at any second to throw itself overboard in favor of a certain scene or an emotion that the filmmaker wants to stress. A good example for such a lack of consequence can be found at the end of Le rebelle when Blain cannot stop cutting to the crying face of the abandonned sister of the protagonist. Unlike Bresson tenderness is not a question between the images, it is an obvious answer in them. Due to that it is not really Bresson who Blain is in relation with, it is Truffaut. That might seem strange in the beginning but thinking about it I came to realize that both directors are not only concerned with visions from the past, a strong faith in humanity, insecurities, moments where cinema and memories merge, but they also are both obsessed with the beauty and cruelty of dependencies. Blain‘s characters struggle for freedom but their way to achieve it always brings them into situations in which they depend on the lust and money of other people. In Les Amis it is 16-year old Paul who struggles and who meets Philippe, an elderly business man who offers him in unbearable ambivalences a friendship and a little bit more. Paul like his namesake in Un enfant dans la foule goes for it but soon he will fall in love with a girl. The opposite is true for an amazing Patrick Norbert in Le rebelle. He denies the much more obvious seduction of money and does not prostitute himself so easily. But this leads to other problems. It is clear that in relationships like that lies a metaphorical potential for many injustices of the world, including what Blain, who always thought of himself as an outsider, must have encountered when making cinema. But those patrons have always something vulnerable and honest about them which makes their egoism and desire even more dangerous. Especially since Blain shows both sides in his filmography: The seducer and the seduced. What is a violent abduction from one perspective might be desperate love from the other perspective. Age difference and deformed tenderness play a huge role in Blain‘s cinema. We often see people kiss or embrace and freezing in a Fassbinder-like pose. Suddenly movement stops and something seems wrong. It is too close, too long, too wanted. But the wrongness is not a question of a calculated crime, it is one of human weakness. 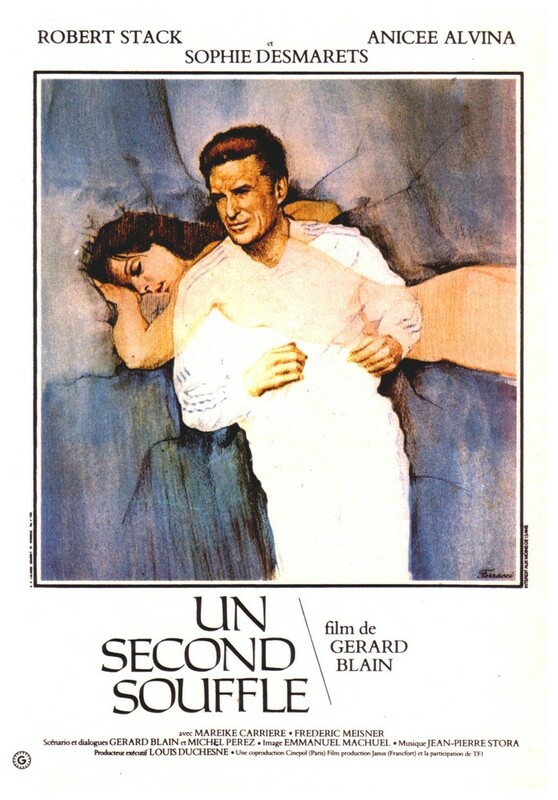 In Un second souffle Blain turns around the dependency and focuses on an aging man (played by Robert Stack who grew up part of his life in Paris and spoke fluently French, therefore acted in several French films) and his fight to stay young. He takes himself a much younger girlfriend and Blain does not shy away from irritating our gaze as sometimes we take his lover for his possible daughter. The naturalness of this kind of relationship presented in Fin août, début septembre by Olivier Assayas gets an existentialist alienation with Blain. Among those who visited the screenings of Blain I seem to hold an exclusive opinion on this, but for me Un second souffle is the best of the five films. Part of this owes to the amazing camera work of Emmanuel Machuel (who worked with Bresson, Pialat and Mr. Costa among others). Machuel also photographed stunningly Un enfant dans la foule and Le rebelle but in Un second souffle the way he connects movement with expectation and finally disappointment is on top of his game. 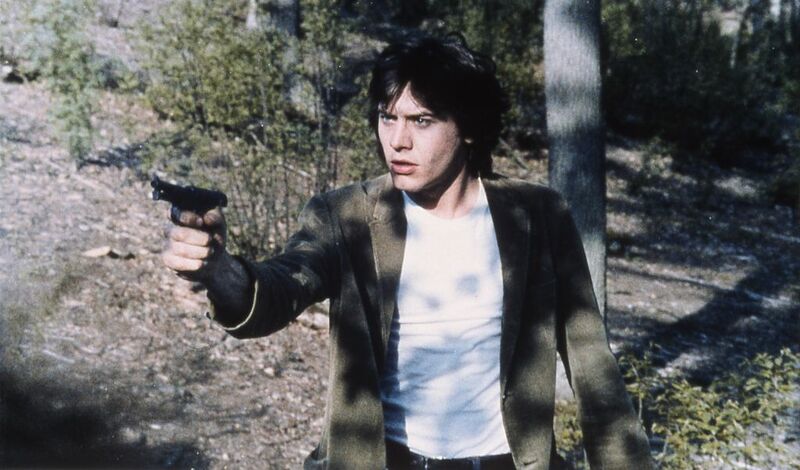 The film opens and closes with the character of Stack running through the streets, a park and a forest. The camera travels with him and pans as he moves towards or away from us. In the beginning we see someone who comes out of the forest, there is a time he takes, a way he looks, an insecurity, a hunger whereas the almost same images in the end carry death and discouragement but also acceptance. It is a huge quality of Machuel to keep the right distance, one that makes us feel the movement of the camera as something that takes power, tenderness and time as opposed to many of those camera movements nowadays which more or less fly through the air. The emotions of this camera movement mirror in the protagonist. Stack‘s attempts to become young again carry the kind of hypocritical embarrassment we know from a filmmaker like Pialat. But there is an honesty about it that keeps us and the films moving. In a vibrantly delivered scene Stack talks to his younger girlfriend about another boy her age she knows. They lie in bed together, it is something uncomfortable but nobody would want to leave. There is sexual dependency and a constant impotence that forces the protagonists of Blain to stay viewers and listeners. In Le Pélican a very long sequence just observes the family life the protagonist will never have again, in Un second souffle the protagonist observes the naked body he will never have like he wants to, in Un enfant dans la foule the young child looks at a photo of his mother he will never see like this again. Music gets repeated, records played and even a Jacques Tati-like music player gets used in Le Pélican. People disappear in Blain‘s films and they leave a gap. Blain makes us feel this gap with music or with a neutral observation. Even if a body still exists something other might disappear in the body. Sometimes the protagonists try to ignore other people and sometimes they try to remember them. Both attempts fail. Maybe we should not talk about a search for freedom, but a search for belonging in Blain. In another of this stunning traveling/pan shots by Machuel the young boy in Un enfant dans la foule moves past other boys of his age playing in the background. There is a loneliness that becomes a togetherness in cinema. In Blain‘s cinema there is a quest for belonging, finding something or someone one can relate to. 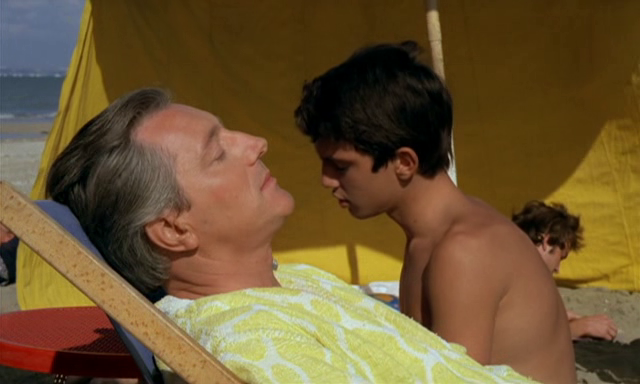 In this regard the ending of Un enfant dans la foule is the most touching, most personal and most honest finding of such a belonging. Naturally it arrives, as in Blain‘s real life, more or less as a coincidence. What the young boy in the streets of Paris during World War II finds, is cinema. He goes out to be an extra in Marcel Carnés Les enfants du paradis. The love his mother is not able to give him he might get from cinema. Outside on his way he meets a pedestrian who asks him for a fire to light his cigarette. This pedestrian is Gérard Blain and his physical existence in such a scene says it all. What we see is someone brave enough to film what he sees or has seen himself. Blain was an extra himself before Julien Duvivier discovered him for Voici Les Temps Des Assassins. One could write a lot more about Blain but for now we have to stick with a last observation concerning the beauty of adidas-tracksuits employed by Blain‘s films. Yes, that‘s right. Adidas is even thanked for in the beginning of Robert Stack‘s-Wes-Anderson-would-just-love-it-and-make-him-a-Tenenbaum fashion-show during Un second souffle and I found many other incidents where characters were wearing old school adidas stuff. First it seemed rather unfitting for a self-proclaimed outsider to have deals with capitalism itself but on the other hand this way of clothing just perfectly talks with the way his protagonist and his films are: There is a certain style we can easily recognize but underneath is something different, something that needs this style, that is dependent on it. You feel younger, you feel like belonging when you look like it. By stressing clothing in such a colorful way Blain brings it in our conscience. He shows that there is a lie behind it, but also a necessity. The cruelty and beauty of dependency, the pain and joy of prostitution, the appearance of love in disappearance. The cinema of Blain brings up the painful subject of not being able to live like we want. Thus it lives.